The engine revs freely when a shift to 2nd or 6th gear is commanded. When a shift to 1st gear is commanded, 2nd gear is engaged. Transmission valve body assembly is blocked. OFF malfunction (C) and (D): 0.8 sec. 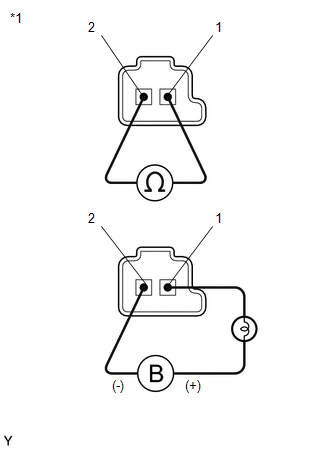 (a) Remove shift solenoid valve SL3 (See page ).